Inheritance procedures involving Japan and foreign countries can be very difficult. Due to the nationality and relationships of the deceased, the procedures change dramatically and become complicated. When it comes to inheritance procedures involving Japan and foreign countries, please consult an experienced Judicial Scrivener, Shintaro Ideta at our Nagoya Legal office. If the deceased is Japanese, the Japanese Inheritance Law will apply. Therefore, the process of inheritance will come under the Japanese Inheritance Law if all concerned are Japanese. In such a case, even foreign nationals have the same inheritance rights as Japanese and they can receive the inheritance. However, if foreign nationals do not possess the resident card (Jumimhyo) or seal stamp certificate (Inkan Shomeisho) which are required for the registration procedure, more time-intensive procedures will be required. Whether or not Governing Law becomes the Japanese law by this "Law of the countries of origin " depends on the nationality of the deceased. Therefore, it is necessary to study private international law of the countries of origin and make a judgment. If the country of origin of the deceased is a country with many precedents or if it is a country where information is easy to obtain, it will be easier to judge which country's inheritance law to apply. However, if it is not so, it might be difficult to determine which country's law to apply. If Japanese law is applied, procedures can be carried out when the documents are all prepared. However, if the law of the country of the deceased is to be applied, it will require support from the experts in the associated fields and may result in a considerable amount of time and cost. In order to avoid this scenario, it is also important to take legal measures such as creating a Will, signing a contract by Family Trust. 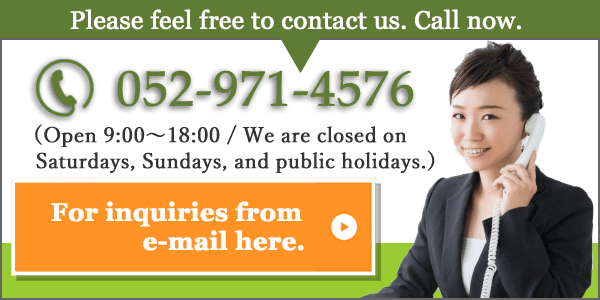 At our Nagoya Legal Office of Shintaro Ideta, we prepare Wills involving foreign nationals and conclude Family Trust. Please feel free to contact us. * A written Will, made by yourself, could be considered invalid if the form is inadequate. For yourself and your family as well as for those who wish to inherit, we recommend consulting with experts and preparing a fair deed written Will that has the least possibility of being lost or resulting in being considered invalid. Especially for those who are foreign nationals living in Japan, those who have been married to a foreign national, or whose relatives have been married to a foreign national, we highly recommend making a Will. Searching for inheritors living oversea. We hear stories that when taking a family registration in order to do inheritance procedures, some people discover they had an inheritor living overseas. In such cases where you know you have inheritors living overseas with no contact information, where you encounter you have inheritors living overseas upon acquiring a family registration, inheritance procedures can become very complicated. Please consult with us for such cases or cases even if it looks like it is going to be complicated. If you cannot find contact information or a residence address of your inheritor living overseas after you feel all your avenues have been exhausted, you can file a petition to appoint a property manager to the family court and have it terminated. By doing so, it will then confirm who has inheritance rights and also reduce any unnecessary costs.